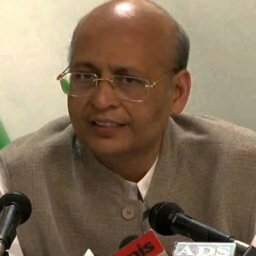 Dr. Abhishek Manu Singhvi, MP and Sr. Spokesperson AICC addressed the media At AICC Hdqrs. today. Dr. Singhvi said – Rosy terms like ‘Team India’ & ‘Cooperative Federalism’ formed a major chunk of BJP’s 2014 narrative. Five years down the line, the BJP has completely eroded federal autonomy and independence of States. Time and again, Modi Govt boasted that they are implementing the14th Finance Commission, which increased the devolution of funds from 32% to 42%. But this has turned out to be a ‘MahaJumla’! In 2014 Manifesto, BJP also promised to “ensure fiscal autonomy of states” [Page 5], but that has been thrown into the dustbin ! None less than a member of the Prime Minister’s Economic Advisory Council, Mr. Rathin Roy has punctured the tall claims of Modi Govt’s Fiscal Mismanagement’ towards states. Modi Govt’s so called ‘increased devolution’ turned out that to be a cruel joke as the Centre abandoned schemes and burdened the states. They cut the number of centrally sponsored schemes (CSS) from 70 to just 27 and also cut contribution in many CSS from 75 per cent to 50 per cent. This effectively means States are getting less as their share of tax revenue, and a pittance for the share of centrally sponsored schemes. What the Modi Government has ensured is that though the aggregate jump in devolution has been 10%, the corresponding cut in CSS has eaten away the so called ‘10%’ increase in devolution. Further, PM Modi that paraded Co-operative Federalism as an ‘article of faith’ hasn’t even released the funds to states, with reports stating that the Centre has only achieved a third of devolution thereby starving states of funds needed for vital welfare schemes like education and health. To add insult to injury, the Modi Govt. which has exclusive usage of revenue collected from Cess and Surcharges, is sitting on a bounty of 3.04 trillion (last FY- 2018-19) while states are reeling under the fiscal pressure of funding their own schemes as well as the ones the Modi Govt abandoned. 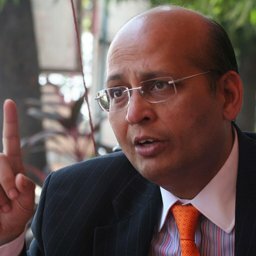 While Cess and Surcharges have always been exempt from the divisible pool, the fraud on federalism occurred when the Modi Government decided to raise Cess and Surcharges exponentially, especially on petro products while pretending to accept the Finance Commission recommendations and upholding federalism. The percentage of amount collected as Cess and Surcharge in 2013-14 during Congress-UPA was only 6.3% (71,714 Crore) and now when PM Modi is gearing to demit office and voted out, it is expected to rise to a whopping 17.24% or 4.4trillion. (Rs 4.4 Lakh Crore) None of that bounty is to go to the states, even though there has been a constant demand from states to include Cess and Surcharges into the divisible pool. Modi Govt claimed 42% devolution towards states, but not even in one year of its term , it has achieved that threshold! It has never breached the 35% mark. Hows the Jobs?,Mr Modi? – No Jobs, Only Pakoras! It has been 6 days since the NSSO Survey on Jobs was made public and the ModiGovernment is yet to release or comment on this data, rather it is hiding behind the veil of NITI Aayog for excuses, which has become the perfect spin doctor to hide & indulge in statistical jugglery. CEO, NITI Aayog has said the “data on jobs is not official and has not been verified yet” and VC, NITI Aayog, gave the same lame duck excuse. Might we remind the NITI Aayog the extent of their authority?The Government or theAayog is not the authority on verifying any data and the NSC is an autonomous body which placed the report for release after verification in December 2018 itself. Why is the PM hiding this data, if the BJP is so brazenly praising job creation under their Government? NCRB Data – On Farmer Suicides – pending since three years. People of India will never forgive and forget this fakery. Dr. Singhvi said this government believes in fiscal fascism in place of co-operative federalism,. This government is holding Team India to ransom handing out the electoral lolly-pops – talking in April 2014 as CM that we believe in this – talking in July 2016 that we believe in co-operative federalism and doing the opposite. In a nutshell he did the opposite on three counts – one – they increased to Rs. 4.4 lakh crore the non divisible on food and cess surcharge. Second, they did not increase the divisible pool from the promise of 27% to 42%- they increased it only to 32%. And third, they have suppressed all data on Nutrition, on Jobs etc. On a question on Shri Robert Vadra with reference to a press conference held by BJP today, Dr. Singhvi said election season is on and we expect that every day when someone is to be answered, a press conference will be held. You should know the fact the current summons which he is answering today in a spirit of co-operation with the ED is a matter in which a stay order has been given by a court. When the court was assured that when he comes back from abroad he will attend. He is merely attending a matter in office and giving a statement on a matter which he had told the court and the court had granted him a stay. As far as Shri Sambit Patra is concerned, he has to be asked one or two questions – as the Chief Spokesperson of the ‘Maha Jumlebazaaon ki Party’, the question is that Mr. Patra you are singing the same tune in 2019 February, you are on your way out in two months’ time. Is it not a remarkable comment on you and not on those on whom you are commenting that 5 years down the line, all you can do is hold press conferences? If you have all this massive amount of material and inputs and data, why didn’t you give in the Press conferences, the Government of India? Why are you distributing material in the press conference? If you had started giving this very valuable material which you claim is with you to the Government of India which has been misused helter-skelter right of centre for the last five years. May be we should have got some facts. Today you hold a press conference in February 2019 having had at your disposal entire machinery and entire central government machinery. They have found nothing of a legal culpable character. So, obviously the attempt is to mislead to confuse, to confound, to confuse and to create an ambience just before the elections but people see through this, people see through the fact that you are doing nothing but being the Spokesperson of the ‘Maha Jumlebazi Party’. 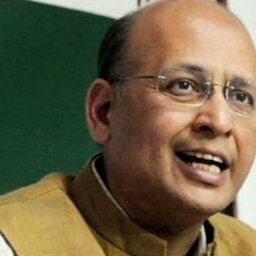 On a further question that BJP is now demanding an enquiry saying that the Congress Party is trying to vitiate Indian Army, Dr. Singhvi said there is no question of reacting to a press report. Let us see it. Let us examine it. There is no question of admitting even remotely allegations like this made by the BJP. I know that it is your product, wait for it and we will react. On the question of state press conference, Dr. Singhvi said I think your point is made by the question itself. They are so serious. The ED, the CBI, the IT, the ten other agencies you have, could not do a thing in this serious charge even by way of finding even culpable legal evidence. Show the seriousness. It shows that it is nothing but an electoral ‘Jumla’. Why is it necessary for the Spokesperson of the ruling party to hold a press conference of what you call serious charges? If it is available to the press in a press conference, the procedure is that the first it will be given to Police officer who will secretly evaluate it. First thing he will do is, file an FIR, second thing he will do is – file a charge-sheet – nothing – he wants you and me to take cognizance in the fifth year of government and the last gasp of the government in the last two months on a press conference itself proves beyond doubt the fickle superficial non-existent, non-substantive nature of the charges.